What Features Does KidLogger Have? Parental control tool is one of the essentials for modern parents. The useful app can track the child’s location, notify parents of check-ins and check-outs of the kid and allow to supervise the conversations on social media apps. Various parental controls cover a different set of features. Check this KidLogger review to discover what this app can offer you. The idea of developing the tool, which would help parents supervise everything their kids do online isn’t new. Many creators have already succeeded in providing smartphone monitoring services. The aim of producing powerful parental software is to protect kids from harmful technology and social media effects. KidLogger, owned by SafeJKA S.R.L., also perceive such purpose. The software is designed for the supervision of the mobile phone activities of the underage kids. KidLogger is compatible with Android, iOS, BlackBerry devices and runs perfectly on Windows, Mac, and Linux platforms. Let’s find out how the KidLogger software works and what activity can it monitor. The KidLogger app monitors the data on the target device, which is the mobile phone, tablet or laptop of your child. Then app transfers the found info to the user’s online account. For a detailed description of how to use the KidLogger app scan the stages below. Before installing the KidLogger software on the target device, you need to register your account at Kidlogger.net. Make sure to keep your KidLogger login credentials: you will need them to enter your online account. Installation and setup of the KidLogger app require minimum efforts. You need to have the target device near during the process. KidLogger starts collecting activity logs instantly after the setup. To check the logs, you need to log in to your online account. The KidLogger will keep all the found data here. You can enter and check for the updates. Which data will be collected? Examine the features offered by KidLogger to discover what information can you track with the help of the app. 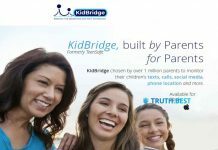 KidLogger features the stand-alone Parental Time Control app, which can help parents manage time their children spend on their Android mobile phones. Setting limits, you can prevent your child from overusing the device. Parents can discover what websites their kids visit on their mobile phones. KidLogger collects the browsing data and transfers it right to your account for supervision. Unfortunately, the feature is unavailable for iOS devices. If you ever wanted to get a sneak peek into a photo gallery of your kid, you can do that with KidLogger. The app copies the pictures stored in the gallery to user’s online account. KidLogger provides detailed info on the mobile applications used by your child. You can find out how much time they spend chatting with friends or playing games. With calls tracker feature from KidLogger, you can stay on top of your child’s conversations. The app tracks call history with the timestamps for every incoming and outgoing call. It’s not the complete list of features offered by KidLogger. The monitoring options available depend on the subscription and platform you want to use the software on. Choose the package preferred and proceed to the checkout. When your payment processor confirms the payment, you will be able to download and install the KidLogger. Download the KidLogger apk file and install it on the target device. Make sure to enable installation from unknown sources. Then open the zip file with password 12345. Launch the app and go to Settings. Customize all the features you need and enable the monitoring by tapping Start. If you want to use the KidLogger app for other purposes except those mentioned above, your activity will be recognized as spying. The majority of laws prohibits spying. So, make sure you apply the KidLogger for legal purposes only. Summing up, let’s look through the KidLogger pros and cons list. The app seems like a good choice for someone who only starts with parental controls. But it doesn't cover the advanced monitoring features and lacks the variety of options for iOS devices. So, if you want to purchase a powerful tracking app, better invest in more sophisticated software than KidLogger.